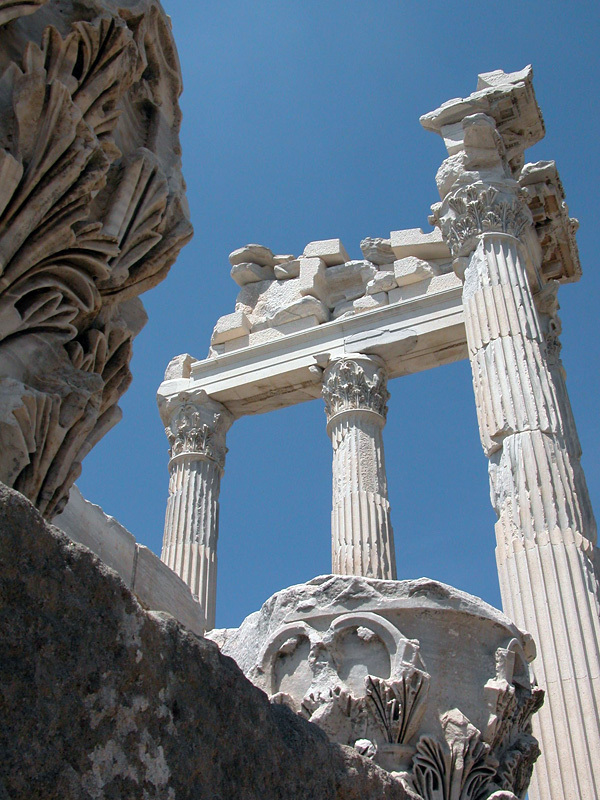 The site of the once celebrated city of Pergamon, former capital of a kingdom that was one of the most important in Asia Minor, is situated near the modern town of Bergama. The remains of the Roman city are for the most part underneath the modern dwellings, while the earlier Greek city with the imposing ruins of its royal stronghold occupies a magnificently impressive situation on the summit and the terraced slopes of the hill east of Bergama. Yacht charters and sailing holidays are perhaps the most suitable method of discovering these ancient sites in Turkey. Especially the luxurious gulet cruises or blue cruises are ideal. The main yacht charter bases can be found in the ports of Bodrum and Marmaris.
.: Back to sailing holidays Turkey :.